Just what I need… another project. I started Sampler #1 from Eleanor Burns’ book Egg Money Quilts. First up, Dresden Plate. Lovely. Does anything go in the middle? Nope. It is done. 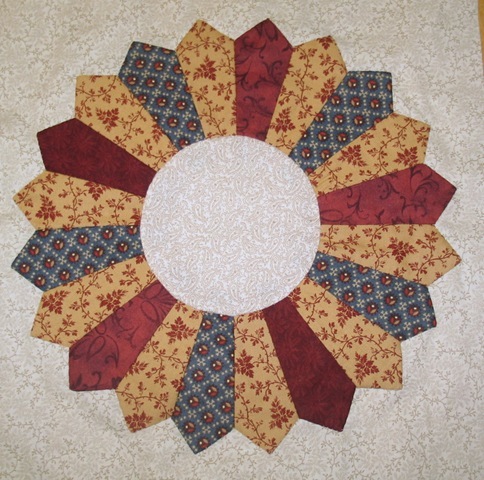 I decided I wanted the center to be the same as the background… subject to change at any time until it is quilted. And even after quilting some of my quilts get changed!!! LOL! I hope you are having a great day, Paula! But it IS what you need! What pretty fabrics, Deb.